Rosenberg Indoor Comfort Continues to Grow with the San Antonio Market! When you live in San Antonio, TX you know a whole lot about hot. Michael Rosenberg grew up in a family business dedicated to cooling… and heating. 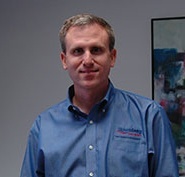 When he decided to launch Rosenberg Indoor Comfort in 2003 and be the company’s president, he brought a wealth of knowledge and skill with him. The San Antonio market is sprawling. Michael knows Rosenberg Indoor Comfort is doing a good job when “we receive a great review from a happy client. I know that our team has taken good care of them from taking the phone call to our service technician fixing the problem at their location.” One look at his company’s website and you know that Michael takes tremendous pride in how they treat customers. The company promises “over the top customer service” and clearly Rosenberg delivers. Their online reviews are plentiful and five stars across the board. Initially, Rosenberg Indoor Comfort used ServiceChannel’s contractor training. But now that the system is so well ingrained at the company their weekly training classes focus on continually evolving procedures, policies and technical practices.